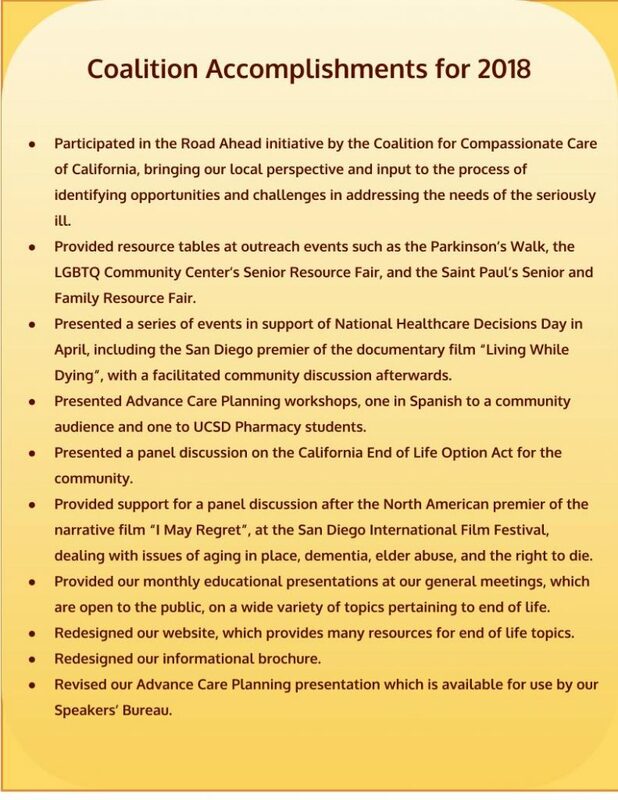 Our Mission: To educate and raise awareness within San Diego County about end-of-life issues and to provide resources to help people make informed choices. 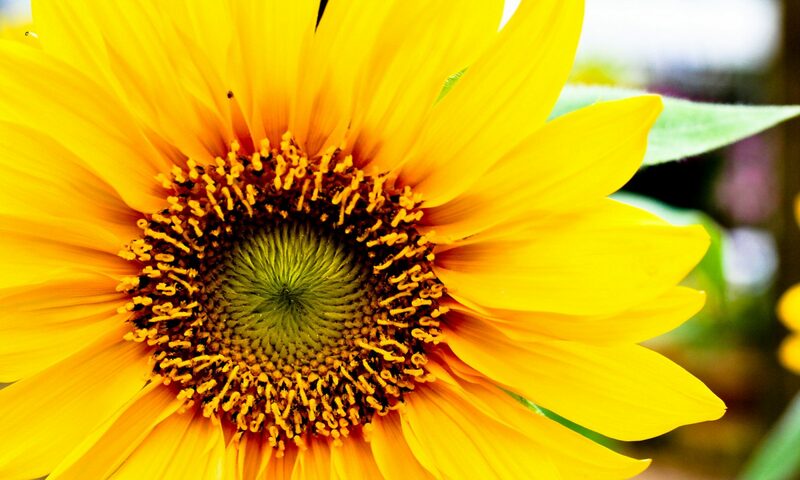 Please follow this link for information on upcoming Coalition for Compassionate Care of California events and trainings. For our most recent monthly enewsletter click here . Join our Mailing List click here . For More Information: click here . and send an e-mail to the San Diego County Coalition. One of our members will return your request as soon as possible. 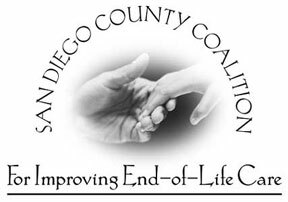 Or write us at San Diego County Coalition for Improving End-of-Life Care, P.O. Box 23674, San Diego, CA 92193.